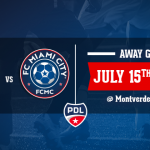 The Premier Development League (PDL), a celebration of soccer’s youngest talents featuring the top 67-teams (U23) in the U.S., have revealed the 2016 regular-season schedule today. 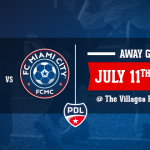 The 2016 USL PDL schedule have been released and FC Miami City will open its season in one of the Florida’s most exciting challenge versus the Floridians F.C. 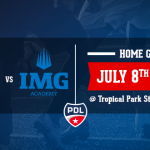 on Saturday, May 7th 2016 at 6pm in our Home Field (Tropical Park Soccer Stadium), here in Miami. Will follow a full slate of games: 14 games in 11 weeks for our 2016 campaign. As we continue our pre-season, no master roster announcement will be made today. Until then, are you ready for a new Era? Some big news are coming very soon.